The Earth is spherical, but not perfectly spherical. Its diameter is longer across the equator than between both poles. 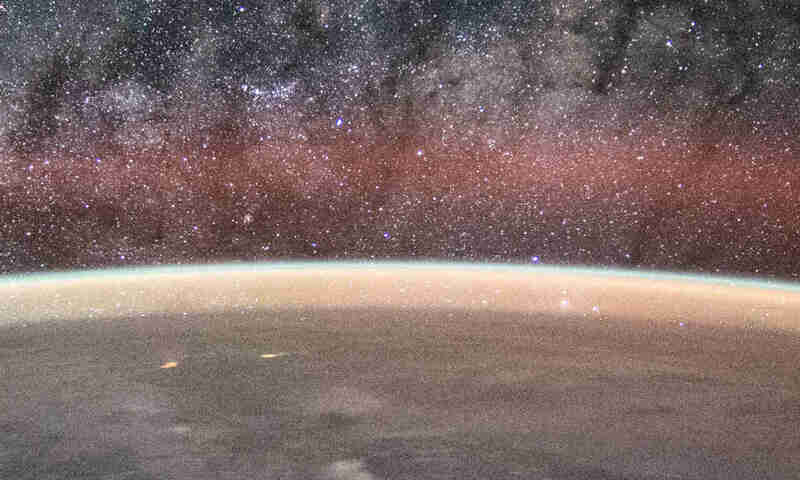 The shape is called ‘oblate spheroid’. The difference between both diameters is tiny, only about 0.33%. It is perfectly fine to say that the Earth is round or spherical. Some flat-Earthers take this issue very seriously. They think if that’s the case, then we can’t say the Earth is spherical. They are wrong. If we can’t say the Earth is a sphere, then we can’t describe every other spherical object as spherical, because nothing is perfectly spherical. This is a red herring: an attempt to deflect the argument to another issue they think they can better respond. It is also a fallacy of “appeal to definition”. They try to pull definitions from a dictionary to support their assertions. They would say that if the Earth is not a perfect sphere, then it is not a sphere. 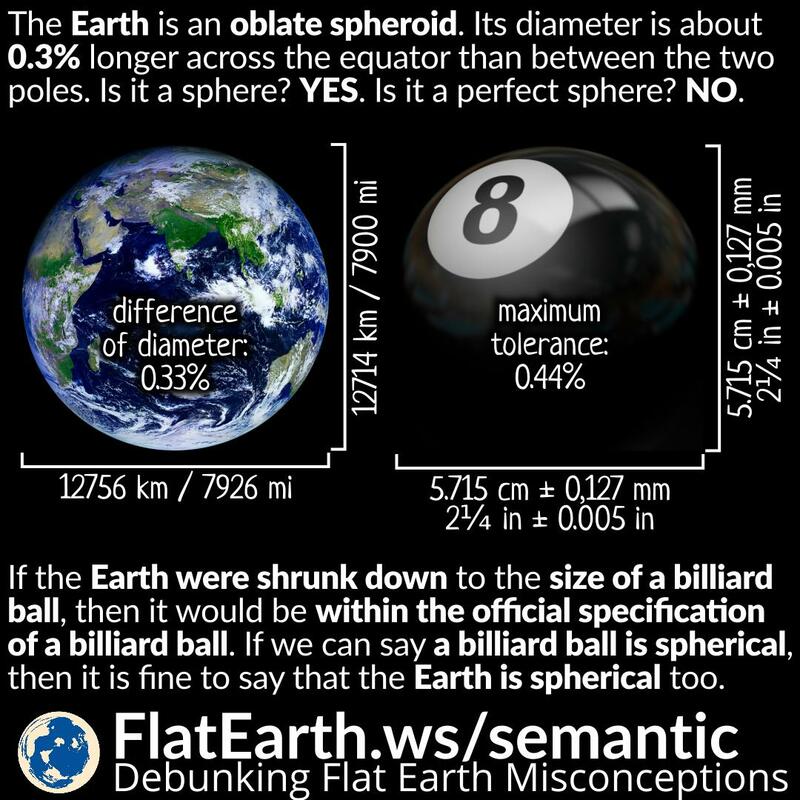 To illustrate why they are wrong, let’s compare the Earth to a billiard ball. A billiard ball is defined as follows. From that, we can calculate the tolerance of the diameter of a billiard ball is about 0.44%. If the Earth were proportionally shrunk to the size of a billiard ball, then it would conform to the official specification of a billiard ball. If we are allowed to say that a billiard ball is a sphere, then it is okay to say that the Earth is a sphere too. This also applies to other spherical objects. If something has to be a perfect sphere before we can call it ‘a sphere’, then no everyday object is a sphere.